Diana Davis is a graduate of Durham University. 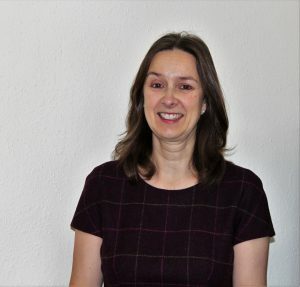 She qualified as a solicitor in 1984 and since then has worked for a number of high street practices in North-east of England before moving to Buckingham and joining Chandler Ray in 1998. She is a Director of the firm and has broad experience across all areas of residential and commercial property. She has substantial experience of the full range of property and land transactions, both in price range and complexity. In addition she undertakes private client and elderly client work, including acting for attorneys and deputies and making applications in the Court of Protection. She is both a professional Deputy and an Attorney for clients. She also has experience in dealing with complex inheritance tax calculations. Diana also advises employers and employees in employment law, including applications to the Employment Tribunal. Diana graduated from Durham University and qualified as a solicitor in 1984. She joined Chandler Ray in 1998 and became a Director in 2013. Her work includes residential and commercial property matters, Wills, Probate and Administration of Estates, Powers of Attorney and Deputyship applications and well as Employment law. In her spare time Diana enjoys walking, reading and obscure foreign language films.